What is Canadian cuisine? Is it just a mirror of American cuisine with all of its spaghetti and hamburgers, but none of its amazing barbecue? Is Canadian cuisine a multicultural potluck or a creole? Is it more defined by our wild foods and agriculture (farm-to-table) or by our street foods and family traditions? Is there any unifying notion of “Canadian Cuisine” or are our foods segregated by regionality and culture? And where are all the First Nations foods?! I don’t have all the answers, but I’m always down for a pint of Canadian beer and some poutine, and a polite discussion about national identity! 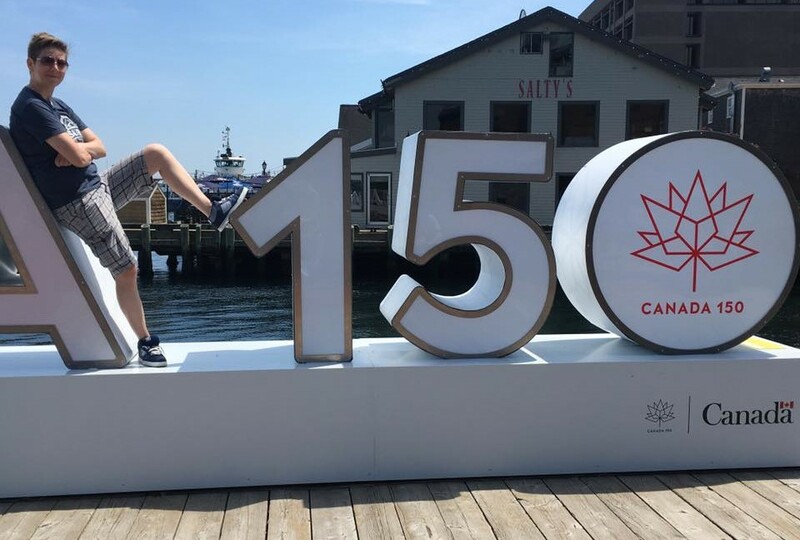 For Canada’s 150th year of Confederation I have embarked on a blog series showcasing the most iconic foods of each province. See: Newfoundland & Labrador, Prince Edward Island, Nova Scotia, New Brunswick, Quebec, Ontario, Manitoba, Saskatchewan, Alberta and British Columbia. To celebrate Canada Day 150, here are 150 Canadian foods – in a completely random order for your viewing pleasure! Nova Scotia’s street food of choice is the donair, which was invented in 1973 by Peter Gamoulakos who would go on to open King of Donair, the world’s first donair speciality shop. 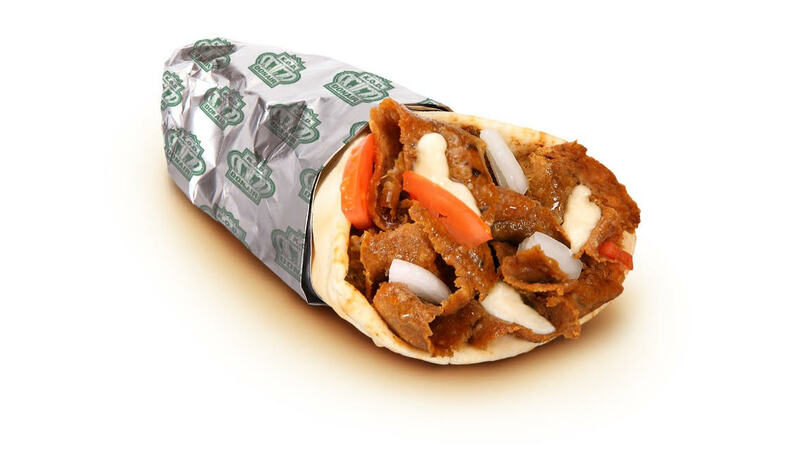 The donair is an adaptation of the Greek gyro (which is itself an adaptation of the Turkish doner). A spicy ground beef loaf is shaved into a warm Lebanese pita and topped with tomatoes, onions and a sweet milk-based sauce. It is a meaty and messy perfection! In Canada a “double double” always refers to a coffee with 2 cream and 2 sugar, especially from omnipresent Canadian icon, Tim Horton’s. Just as iconic are Timbits (donut holes) and Canadian Maple Donuts. Swiss Chalet‘s dipping sauce for its rotisserie chicken is so popular, it is sold in powdered form on grocery shelves and recently became a Lays potato chip flavour! Vancouver’s Japadog is the original “Asian fusion dog” – often imitated, never duplicated! The “Terimayo” is the most popular, with Japanese mayonnaise, nori seaweed and teriyaki sauce atop a snappy all-beef wiener. This Quebecois dish was invented in the 1950s in rural Quebec, and continues to be emblematic of Quebecois cuisine. Nowadays poutine is available all across Canada and it may be the best contender for our national dish. It has three ingredients: French fries, squeaky cheese curds and gravy. 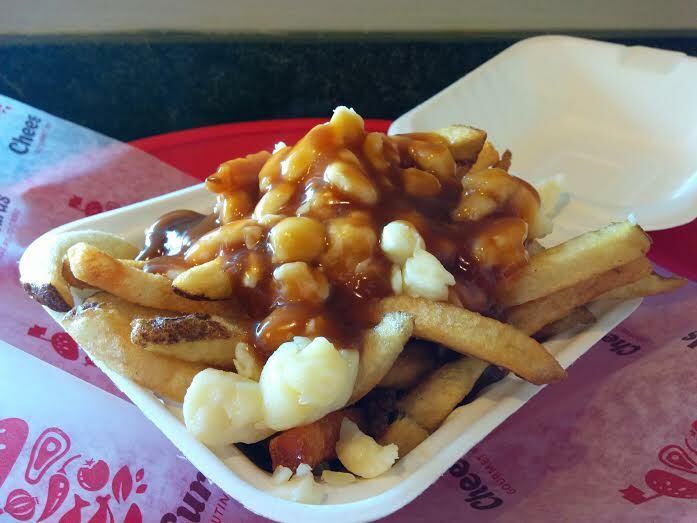 You can find poutine in diners, pubs, food trucks, seafood shacks, take-outs and even fine dining restaurants. 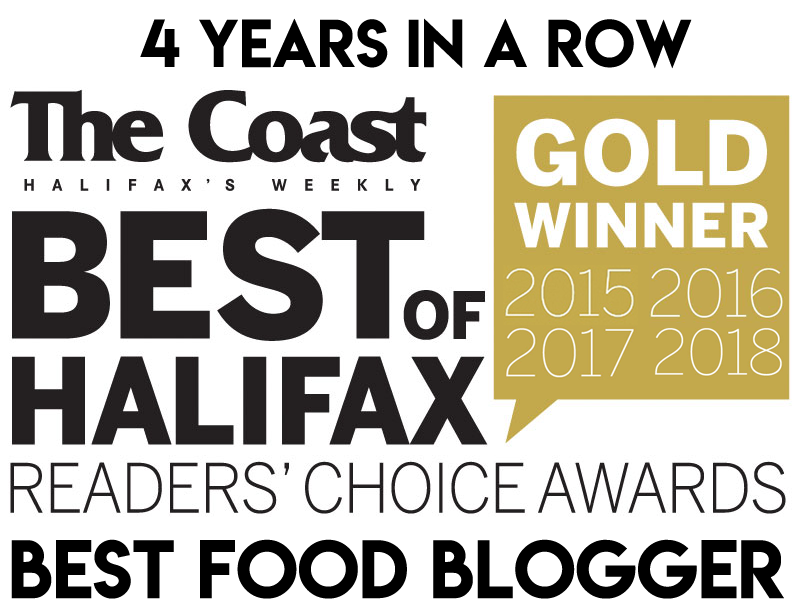 Popular variations include: butter chicken, peppercorn gravy, smoked meat, donair, foie gras, lobster, Newfoundland “dressing” (or stuffing), perogies, and duck confit. Who woulda thunk it? The Hawaiian Pizza is said to have been first invented by a Canadian. Sam Panopoulos, of Chatham, Ontario, claimed that he created the first Hawaiian pizza at the Satellite Restaurant in 1962. This wild cherry was central to the diets of many First Nations peoples. The Blackfoot and Plains Cree would dry and grind the cherries to use in soups, stews and pemmican. In BC they were tradtionally eaten with salmon. The bark was used as medicine, and was considered a pharmaceutical until 1975. Today chokecherries are most popular in prairie cuisine, used in jellies, jams, juices, syrups and wines. This traditional Métis prairie soup is named after the French word for meatballs: boulettes. Chilliwack (BC) and southern Ontario are also known for their corn but Taber, Alberta is the “Corn Capital of Canada” thanks to its copious amounts of sunshine. 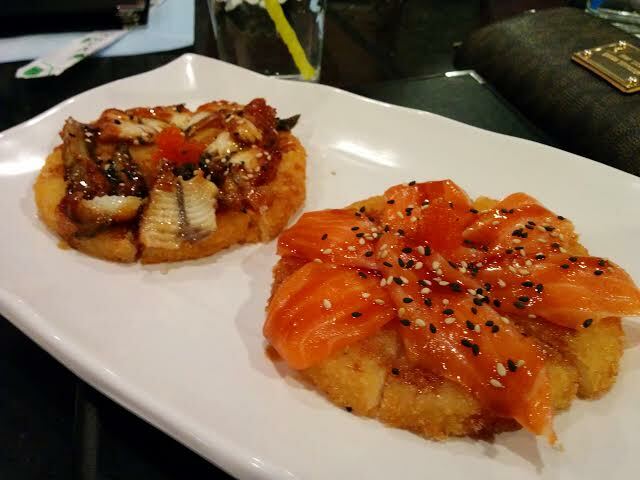 It is said that sushi pizza originated in Montreal, circa 1992 at Atami Sushi Restaurant but that it became particularly popular in Toronto (and spread elsewhere). It is a crispy/chewy deep fried rice patty topped with avocado, raw fish and sauces and cut into wedges. Especially from Great Slave Lake (Yellowknife). With donair dipping sauce. Just ask a Maritimer. Brome Lake Ducks has been raising Pekin ducks on the shore of Brome Lake in Knowlton, Quebec for over 100 years. Did you Know KD is called by other names in other countries? Not only that, but Canadians eat 55% more Kraft Dinner than Americans! Every Canadian thinks their take on KD is the best. I like mine with sriracha and extra cheese, whereas my partner prefers hers el dente and more runny. The most popular additions are sliced hot dogs or tuna. Maple syrup’s cousin. It is also worth noting that Birch Beer Crush is almost exclusively sold in Newfoundland. 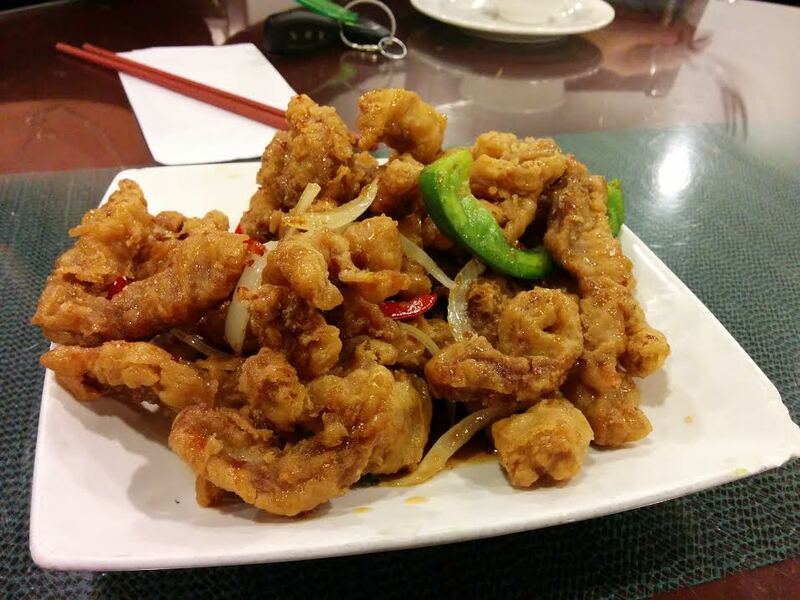 Ginger Beef was invented in the 1970s at Calgary’s Silver Inn. George Wong adapted a recipe from Northern China to resemble pub food, deep frying shredded beef and tossing it in a chili sauce. The result is crispy chewy strips of beef in a sweet, spicy sauce. This is Thunder Bay’s contribution to Canadian Chinese food. They were invented in 1946 by Lam Pang, who was catering a party that needed late-night beer food. Marinated spare ribs are lightly dusted and deep fried to crispy, served with lemon wedges for drizzling. The Chinese Restaurant in the Fort Williams Curling Club is a popular place for them – how Canadian is that?! Big Turk is a chocolate bar manufactured by Nestlé Canada, containing Turkish delight coated in milk chocolate. It is particularly popular in Newfoundland. You either love it or you don’t get it. Native to southwestern British Columbia, Miner’s Lettuce gets its name from prospectors and miners during the Gold Rush who used it to prevent scurvy. It had already been used extensively as a medicinal plant by the indigenous peoples of the Pacific Northwest. A Quebecois comfort food, also sold by the can across Canada. Another variation is Newfoundland-style pea soup. This was invented by Native Canadians and adopted by fur traders and explorers as a high energy food. Lean meat was dried and pounded into small pieces, then mixed with animal fat and sometimes dried berries. A popular Thunder Bay confection. PEI’s favourite street food: fries with ground beef, onions, peas and gravy. 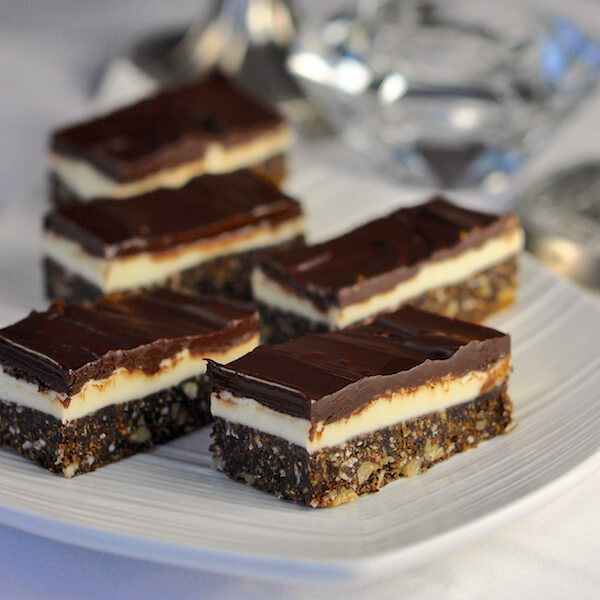 Photo Courtesy of Rock Recipes – see his recipe for mint Nanaimo Bars! This decadent square (or “dainty” if you’re in the prairies) is named after Nanaimo, British Columbia. Layers of chocolate ganache and creamy custard sit atop a graham cracker-coconut-cocoa base. These are quite possibly Canada’s favourite confection. They are made all over Canada and they really are just the best! This Ottawa-based pastry (which is really the same thing as “Elephant Ears”, only with better toppings and branding) is a Canadian classic anywhere there are tourists or ice skating. Newfoundland fried bread, often served with molasses. A Quebecois meat pie, with lots of variations. There are also Acadian meat pies across the Maritimes. The unofficial food of Edmonton, this Chinese scallion pancake is especially popular at Edmonton’s many festivals. It can be found at both Chinese and Vietnamese restaurants, pubs, food trucks and trendy restos around the city. A beloved Acadian dish from southwestern Nova Scotia. Dehydrated potato gratings are cooked in stock with chicken, game or clams until they acquire a goopy consistency with a browned crispy top. Prairie Greek-style pizza is thick and meaty, and Regina makes it the thickest! Pickled herring from Nova Scotia. 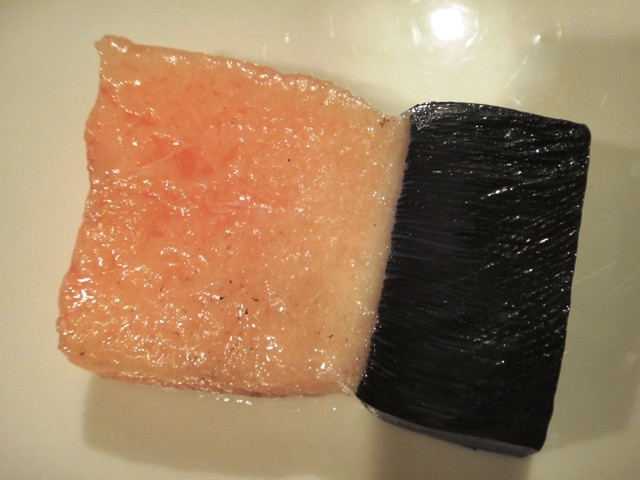 Muktuk is the skin and blubber of a whale. It is usually eaten partially frozen, perhaps dipped in a bit of soy sauce. This is typical “country food” of the north. Canadians are particularly proud of their junk food. The above chocolate bars are made exclusively in Canada but there are many others that are available in Canada and not the United States (Smarties, Wonderbar, Crunchie, Aero, Mr. Big) that get an honourable mention. A type of mustard pickle in New Brunswick. Green tomato chow chow is another classic east coast condiment. Appellation lamb from scenic Charlevoix, Quebec. A seasoned beef sausage (similar to salami), traditionally smoked and cured by the Mennonites of southern Ontario. Whether it’s fusion or creole, this is popular in greater Vancouver/Fraser Valley where there is a large Indian population. In Picou County, Nova Scotia there is a unique style of pizza residents can call their own. PCP has a medium thick dense crust and spicy Halifax-style pepperoni piled under a generous layer of cheese with a spicy brown sauce. The sauce is composed of chicken stock, veggies and spices. This style of pizza was developed by Greek immigrants who had relocated to New Glasgow (NS) from Montreal in the 1960s. 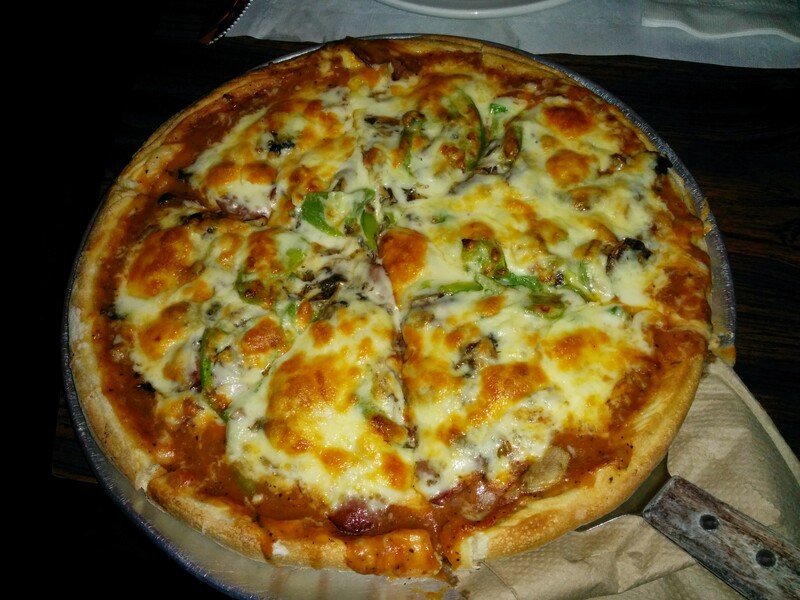 The standard order is a “Combination Pizza” – pepperoni, green pepper and mushroom (with donair sauce on the side, of course). Also called “sxusem” this is a dessert of whipped soapberries traditionally eaten by First Nations people in the Interior Salish Territory of southern BC. An Acadian dish found in New Brunswick: boiled potato dumplings stuffed with pork. Brown sugar rolls from Quebec. A dish of stewed blueberries and dumplings, so called because of the “grunting” sound it makes while cooking. Popular in the Maritimes. Newfoundland’s most iconic dish: a one pot meal of salt beef, cabbage, turnip, potaotes, carrots and pease pudding. Did You Know that A&W Canada has no corporate connection to its American counterpart and so the marketing and menus are different? The Burger Family was reintroduced to Canada in the 1990s, and items like the “Teen Burger” and the “Whistle Dog” are only-in-Canada items. 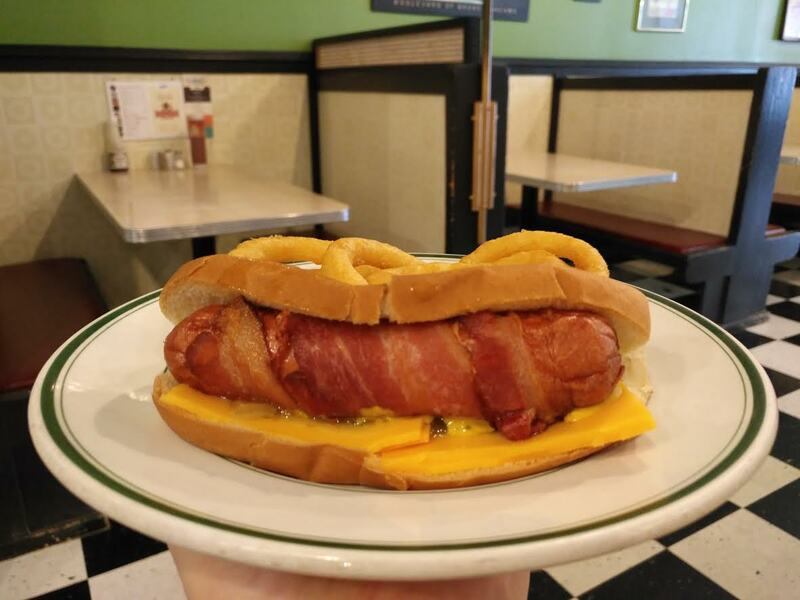 The Whistle Dog (a split hot dog with cheese and bacon) was actually discontinued in 2016 but you’ll still find items labeled “Whistle Dog” in diners and take-outs around Canada. The east coast favours the molasses version, while maple baked beans are a Quebec Sugar Shack classic. Or any of the game meats, for stew is a common preparation. This is a popular drink all across the prairies – a mix of vodka, Kahlúa, milk and Coke. It may sound gross to the uninitiated, but when made properly (it should be more fizzy than creamy IMO) it’s a fantastic drink. Nova Scotia’s favourite accompaniment to coffee or tea. Salmon has always been the most important foodstuff of the Pacific Northwest, whether it be Chinook (King), Coho, Chum, Pink or Sockeye. Indigenous peoples smoked fish over the fire and this tradition of hot smoked salmon carries on to this day. 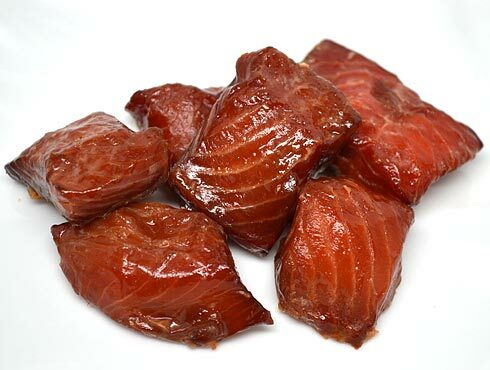 Hot smoked salmon is often “candied” with maple syrup. Also called “rye whiskey”, popular brands are Crown Royal (with the useful purple sack! ), Canadian Club and Wiser’s. Alberta Premium is one of the only remaining producers of 100% rye grain whiskey in North America. The best mix for Canadian rye? Canada Dry Ginger Ale, of course! An old German recipe from the south shore of Nova Scotia, Lunenburg Pudding is a pre-cooked sausage with a texture and flavour similar to pâté. A buckwheat pancake, from the Madawaska region of New Brunswick. Manitoba’s street food par excellence: Greek chili cheese burgers with pickles, mustard, lettuce, tomato and mayo. Canadian myth holds that the “Lumberjack” or “Logger’s” breakfast was first served in a Gastown (Vancouver) hotel in the 1870’s and was meant to fuel up, well, lumberjacks. It is a big breakfast of sausage, ham, bacon, 3 eggs and several pancakes. A favourite on Prince Edward Island, made at the PEI Preserve Company. 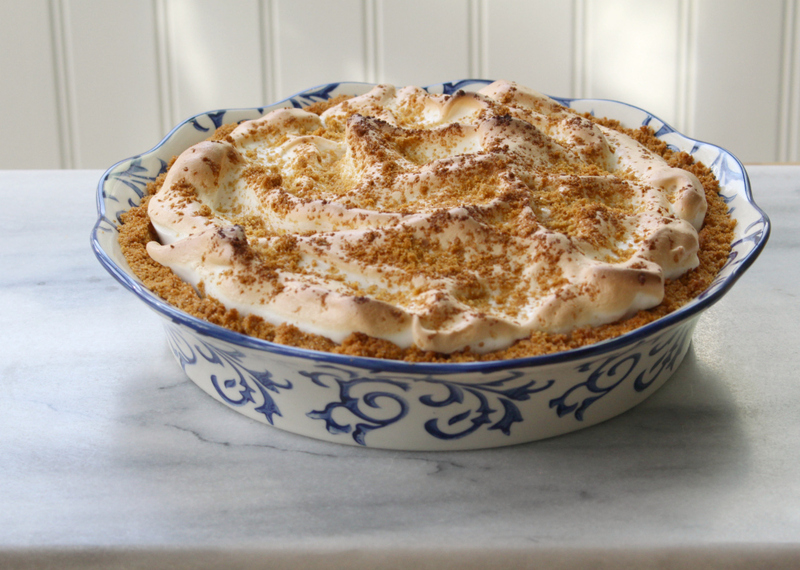 This elusive prairie pie has a graham cracker crust, vanilla custard and a tall meringue. Popular in Newfoundland, less so in the Maritimes. The Doukhobors are Russion spiritual Christians who settled in Western Canada in the early 1900s with the help of the Canadian government. They are particularly well known for their homemade bread and delicious borscht. Paul’s Food Factory pizza burgers, sold in corner stores and gas stations (which are often the only late-night options in Cape Breton), are a popular and nostalgic snack. Most pizza shops on the island also sell pizza burgers. A pork spread, served with bread in Quebec. Vancouver is world renowned for its sushi, and the BC Roll (barbecued salmon with skin, cucumber and often a sweet sauce) is one example of a distinctly Canadian sushi roll. Vancouver chef Hidekazu Tojo claims to have invented the California Roll in 1971 (but this is disputed by food historians). These are called “Partridgeberries” in Newfoundland. If you order an egg roll in Halifax, chances are it will be filled with a weird meaty “paste”. This style of egg roll may have been invented by a “Chef Fatty” at the Garden View Restaurant. Few people know the exact contents of the egg rolls, but rumour has it that instant potato flakes are responsible for the pasty texture. These are large perogies filled with cheese or fruit and topped with a white cream gravy (yes, even the fruit gets the gravy treatment). Not too many Canadian cities have a regional hot dog, but the casse-croûtes of Montreal are famous for the steamé (though the toasté is also an option). 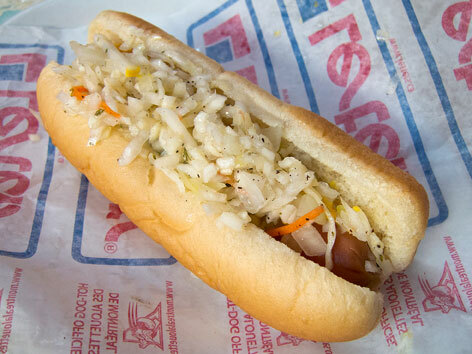 A Montreal-style hot dog is dressed with diced onions, mustard and a vinegar-based coleslaw. Canadian fry-bread, a First Nations food with Scottish origins (bannock = scone). Bannock is a versatile food that can be cooked over a fire, baked in a pan or even deep fried. It can come in the form of a cranberry scone, or popularly as “bannock tacos” which are served at powwows. Just one example of “Waterloo County Fare” – old school German Mennonite cuisine found around Kitchener-Waterloo. A boiled or steamed raisin pudding from Newfoundland. There is a similar First Nations pudding eaten in northern coastal Quebec and Ontario called boo-dnin. A classic Maritime dish made with the first garden veggies of summer: new potatoes, peas, carrots, green and yellow beans in a cream sauce. Laura Secord was a Canadian hero of the War of 1812. She famously walked 32 kilometers out of American territory to warn British forces of a planned attack. The chocolate company was named in her honour 100 years later, and there are now 112 locations in malls across Canada. Toronto is known for its street cart hot dogs. They are usually spiral-cut Shopsy’s hot dogs, though there are no particular toppings that define a style. Traditionally, the city bylaws would not allow for fried onions or mayonnaise. Toppings are laid out buffet-style: diced onions, corn relish, canned mushrooms, pickles, black olives, hot peppers, sauerkraut and mustard are common. Prairie cuisine at its finest. 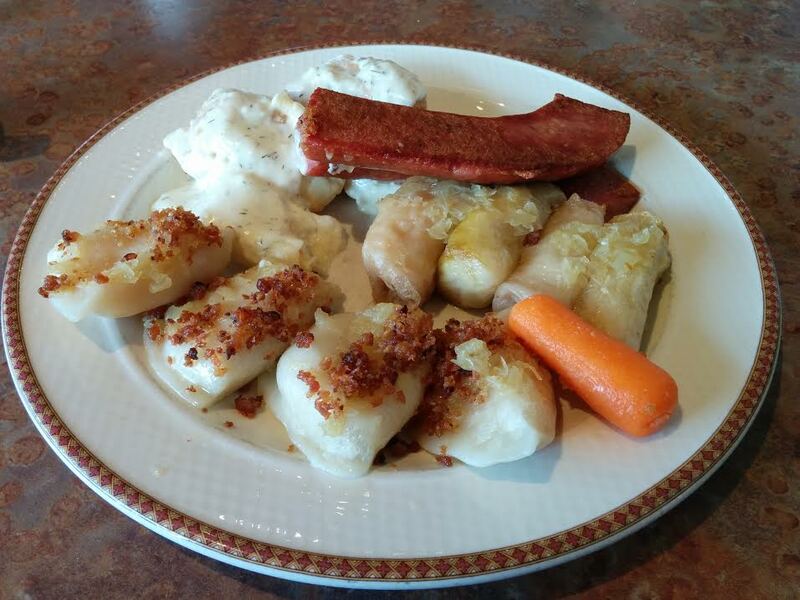 Pictured is a platter from Uncle Ed’s in Edmonton, a lovely showcase of Mundare Sausage and Ukrainian goodness. Halifax-style pepperoni originated with an old recipe brought to the city by a Polish family in the 1950’s. 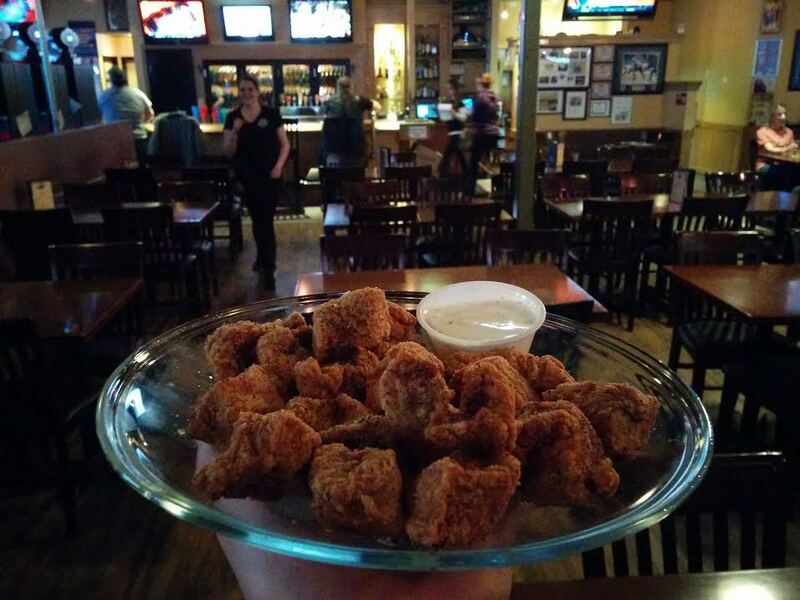 It is a very popular pub food when it is sliced and deep fried, served with honey mustard dipping sauce. Two distinctly Canadian ice cream flavours: Tiger Tail is orange ice cream with licorice swirls, while Moon Mist is a colourful delight of creamy grape, banana and bubblegum (or blue raspberry). Moon Mist is excessively popular in the Maritimes and seen less often in the rest of Canada. This traditional Pacific Northwest First Nations food is exactly as it sounds: herring eggs attached to kelp seaweed. It can be blanched, poached or fried. and other fine orchard fruit from the Okanagan Valley and the Niagara Peninsula. A popular Mennonite sausage in the prairies. This article from the Montreal Gazette provides the best description. Fish cakes (made of salt cod and mashed potatoes) go hand in hand with baked beans on the east coast. This is popular for breakfast (just add some some fried eggs) or lunch… or dinner… just pass the green tomato chow chow! Southwestern Nova Scotia, i.e. the Acadian Shore, is where the majority of Canadian lobster is caught. I am told that families would have so much lobster in the fridge, they’d cream it to use it up before it became too old to eat. 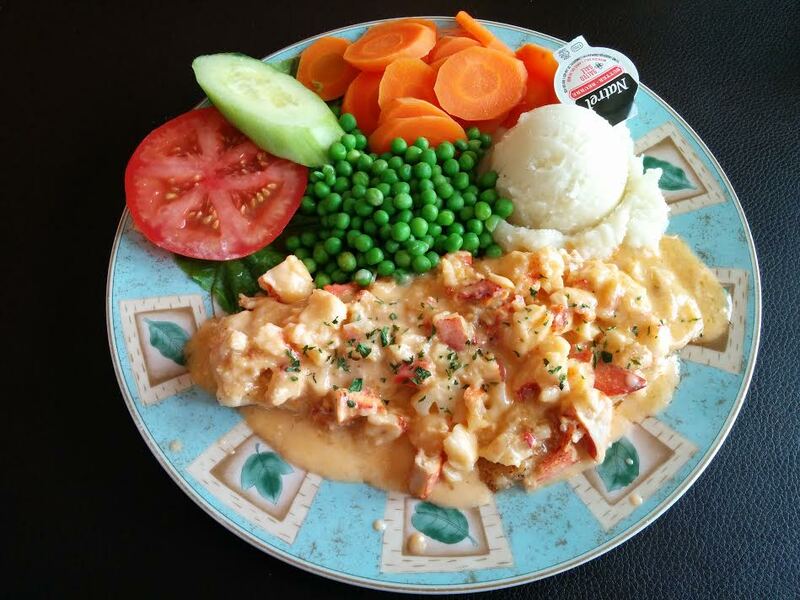 Creamed lobster on toast is a dish you’ll find in restaurants and households around the region. Interestingly, lobster rolls and poutines in the region also make use of this hot creamy lobster. The donair spread from Halifax to northern Alberta in the 80’s, with migrant workers, and integrated into the fabric of the city. 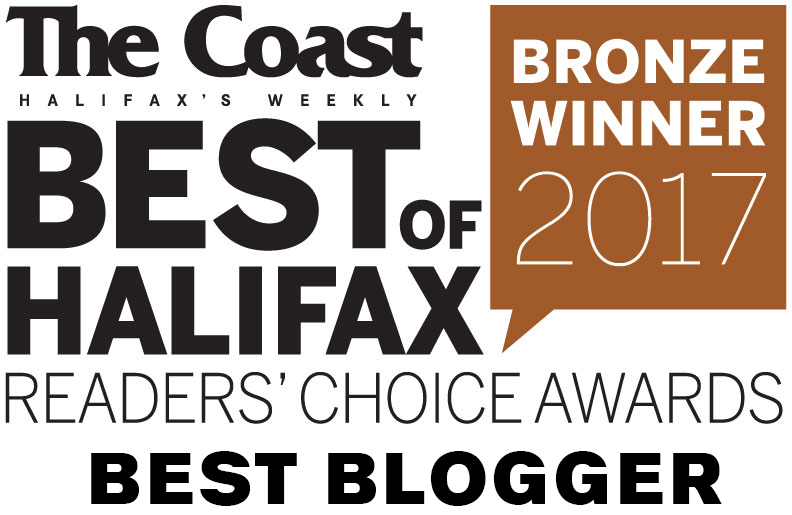 The Edmonton Donair is neater and tidier than the Halifax original, and lettuce is a standard topping (which is considered sacrilege in Halifax). Cheese donairs and chicken donairs are common. Albertans are also more open to different sauces and toppings. These are actually date tarts with icing, and don’t involve pork in any way. Dry ribs are popular pub fare in the prairies. These are crispy deep fried pork ribs, either bone-in or boneless (which are sometimes called “pork bites”), breaded or lightly dusted. Often they are tossed in a spice rub (usually salt & pepper) and served with Ranch dressing. Deep fried haddock chunks, served at pubs and fish shacks in the Maritimes. Dark purple seaweed, harvested from the Bay of Fundy. Gran Manan Island is a major producer. The world’s biggest importer of frozen French fries! Preferably with all-you-can-eat mussels and a bib for good measure. 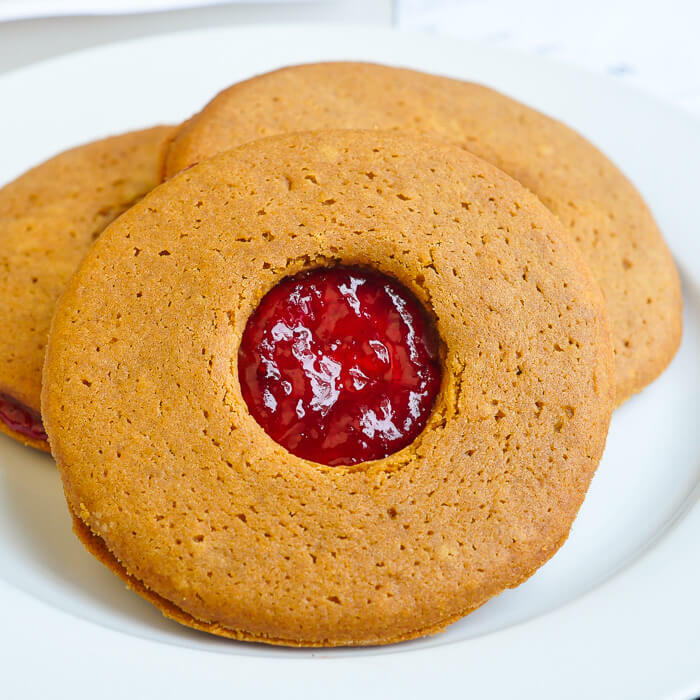 These are jam filled sponge cookies popular in Newfoundland, sold commercially by Purity Factories. Or you can make your own if you check out Rock Recipes. Newfoundland dish of cod in a cream sauce, baked with cheese. A good sized steak served on a piece of garlic bread for under $20 (sometimes less than $10). An old Doukhobor recipe of marinated and grilled lamb, eaten in some parts of Saskatchewan. A type of maple syrup pie. Icelandic-Manitoban cake made with layers of shortbread and spiced plum jam. Yes, the donair is so popular in Halifax that someone invented the donair eggroll. Most pizza shops sell these now. Other weird donair items that float around the city: donair soup, donair tartar, donair donuts, donair benny – the list is endless. Molasses cookies, which are called lassy mogs in Newfoundland. 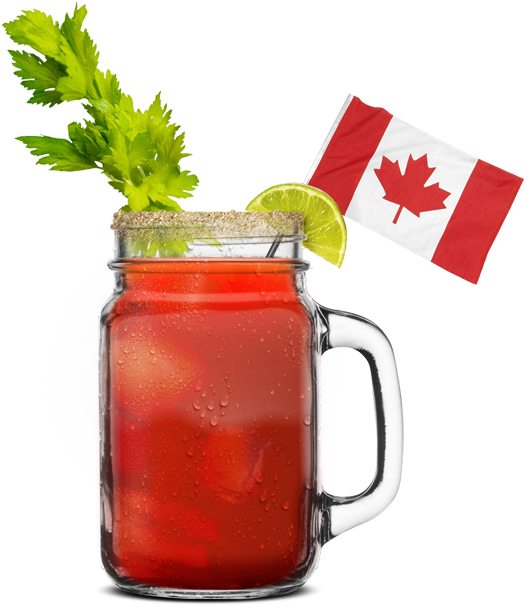 A Bloody Caesar (or just “Caesar” if you’re Canadian) is similar to a Bloody Mary except that Clamato Juice is substituted for tomato juice. Invented in 1969 in Calgary, the Caesar swept across the country and became Canada’s national drink. There are lots of variations in terms of the booze, spices and garnishes used but the classic is simply vodka, Clamato juice, Tabasco and Worcestershire sauce served in a celery salt-rimmed glass and garnished with celery and lime. Don’t forget to see the rest of my Canadian Food Series!